April Fools’ Day 2019 Worldwide Customs: Brazil, France and Other Countries’ Traditional Way of Celebrating April 1 Will Totally Surprise You! We all know how April 1, the day of pranksters is celebrated as April Fool's Day. Simple funda: think of a prank, play it on anyone you know won't be offended and enjoy! But did you know that the funda is not the same everywhere? Yes! You might be surprised to know that different countries celebrate April Fool's Day. It is not all the same as we know. Although the base is all the same that includes fooling around. It is a day that calls the prankster within everyone. The tradition of playing jokes on people is done the world over, but the customs differ. Some people can go to the extremes when it's about playing pranks and jokes on others, but in certain countries, the silliness is also decided into a kind. There are small variations in how April Fools' Day is celebrated in countries across the world. But overall the day is for all to be collectively silly. Best April Fools' Day 2019 Pranks: Unique and New Ideas to Trick Your Friends, Family or Colleagues on April 1. People start thinking of ideas to play pranks on everyone. Be it school, college or office, there is certain excitement to make a joke or play pranks on your friends and colleagues. Today, most people are aware and rather anticipate the pranks that will be made on them so one needs to be extra careful and make realistic joke ideas. Let us look at how other countries celebrate the April Fools' Day on April 1. April Fools’ Day Quotes: Hilarious Quotes & Funny GIF Images to Share on April 1. April Fools' Day is called an April fish! Throughout France, children sneakily stick a paper fish on someone's back. This tradition is followed even in countries like Belgium and Italy. People draw or cut pictures of fishes and place them in unusual places. In Greece, there is a belief that if you manage to trick someone successfully on April Fools' Day, then their misfortune will become your good luck. If it rains on this day, it is considered to be lucky as water has healing powers. The April Fools' day is traditionally known as Hunt the Gowk Day. In Scottish, a foolish person is termed as a 'gowk'. In this country, the celebrations go on for two days. On the first day, people go about pranking people and on the second day, they place tails on each other's back. This day is called as the Taily day. Many people also paste 'Kick me' signs on the backs of their targets. The April 1st day usually coincides with the 13th day of the Persian New Year. It is celebrated as Sidzah-Bedar, or Nature Day, in Iran. So people go out in parks and gardens, spend time amidst greenery and celebrate the day. It is not exactly related to April Fool's Day but it is considered as a prank day on its own. The Slavic population used to dress up and scare away the wintery weathers during this time of the year. This was before the April Fool's Day popularity reached here. But today there are many comedy shows and programmes arranged here on this day, which people attend together and indulge in laughs together. So essentially, it is a day of bringing in fun and silliness all over. Over the years, many media outlets be a part of the celebrations and give out some satirical of fake news just on fooling the audiences. But people have started figuring out that too, off late. 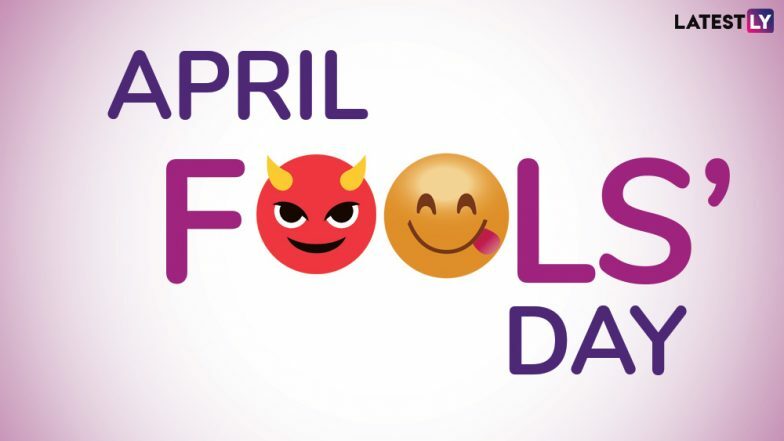 How do you plan to celebrate the April Fools' Day 2019?